As a proud member of the Cadence Connections program Methodics will be showcasing our IP Lifecycle Management platform, Percipient, along with our VersIC option for data management within the Cadence Virtuoso analog/mixed signal design environment. Please come visit us in the Exhibit Hall! 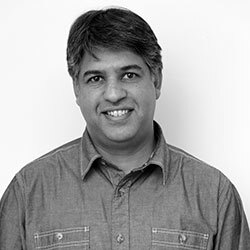 In addition, our VP of Solutions Engineering, Vishal Moondhra, will be presenting “Creating a Seamless Cloud-Bursting Environment for Verification” during the SoC / System Verification Track on Wednesday, April 3 from 4:10pm - 4:50pm in room 207. As design complexity increases, verification grows exponentially complex. Most design teams use UVM methodologies that are built on regressions of thousands of tests. In addition, CI flows are increasingly adding huge testing loads on the IT infrastructure. To handle these loads, design teams are turning to hybrid clouds for elastic compute to serve their needs. However, semiconductor verification and backend flows pose unique challenges to cloud migration. These challenges include large design models, long running jobs with large resource footprints and IP and tool license constraints. This paper presents an orchestrated container based flow built on a data transfer technology optimized for efficiency that addresses these challenges in a seamless fashion to allow hardware design teams to scale out into the cloud.